Apple is again making sure the world is well aware of how great the camera is on the iPhone XR, with a new experimental video being released in which no fewer than 32 of the phones are used. The result is a video that’s as strange as it is amazing, with all manner of materials filmed using the cameras. 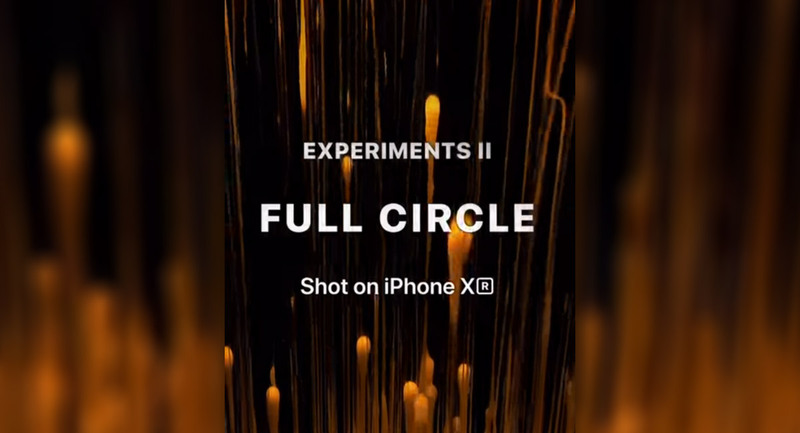 In order to create the 90-second video, Apple put 32 iPhone XR handsets into a circular rig – or “bullet time rig” – to capture multiple materials in a 360-degree setup. Things like fire, coloured water, slime, and even dry ice were used in order to capture some pretty amazing effects. In case the resulting video isn’t interesting enough, Apple has also released a “making of” video in which we get to see how the experimental video was made. During that video, we see the bullet time rig used as well as some of the techniques that were leveraged to create something interesting, with slow-mo being used aplenty. The iPhone XR is capable of recording slow motion video at 240 frames every second, which is perfectly suited to such a mission. Apple’s Shot on iPhone promotion continues to show how capable its new phones are when taking photos and videos, and this is the latest in that series. The company is also running a similar campaign for the iPad Pro in addition to a “Shot on iPhone” contest during which people can submit their own photos, so long as they were taken on an iPhone with no hardware attachments. Check the video out for yourselves and see what you think, and then we highly suggest watching the behind-the-scenes video below that for a little context as to what went into making this thing.